If you’ve ever wondered what kind of dog your zodiac sign would be then today is your chance to find out. Just like us, our furry friends can be heavily influenced by their zodiac profile and as a result they can show can exhibit some pretty interesting behaviors and traits. 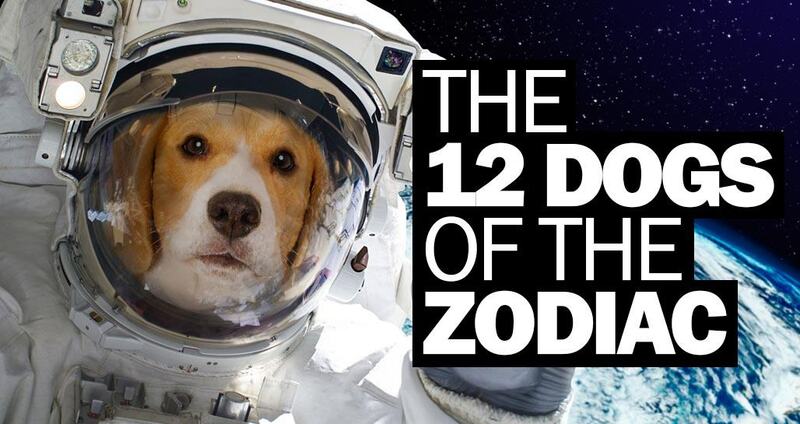 Allow me to introduce you to the the twelve dogs of the zodiac. 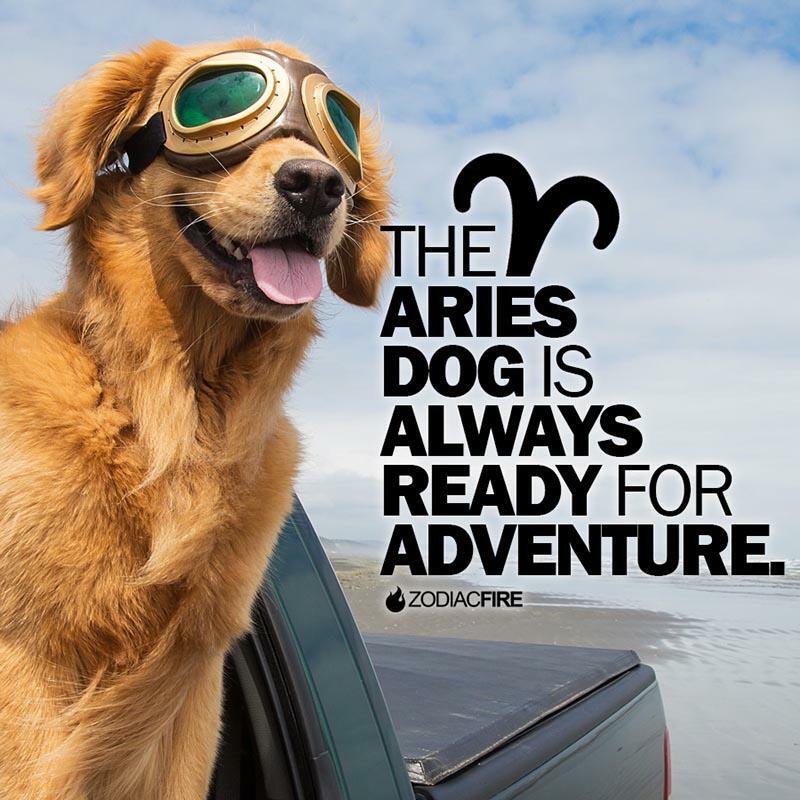 Aries dogs: energetic wanderers who are always down for an adventure. These pups are bold, brave and always ready for the next big adventure. Few things excite them more than the prospect of a walk to the park and they can spend hours upon hours chasing squirrels in the backyard. They’re always full of energy and can sometimes be a bit of a handful. 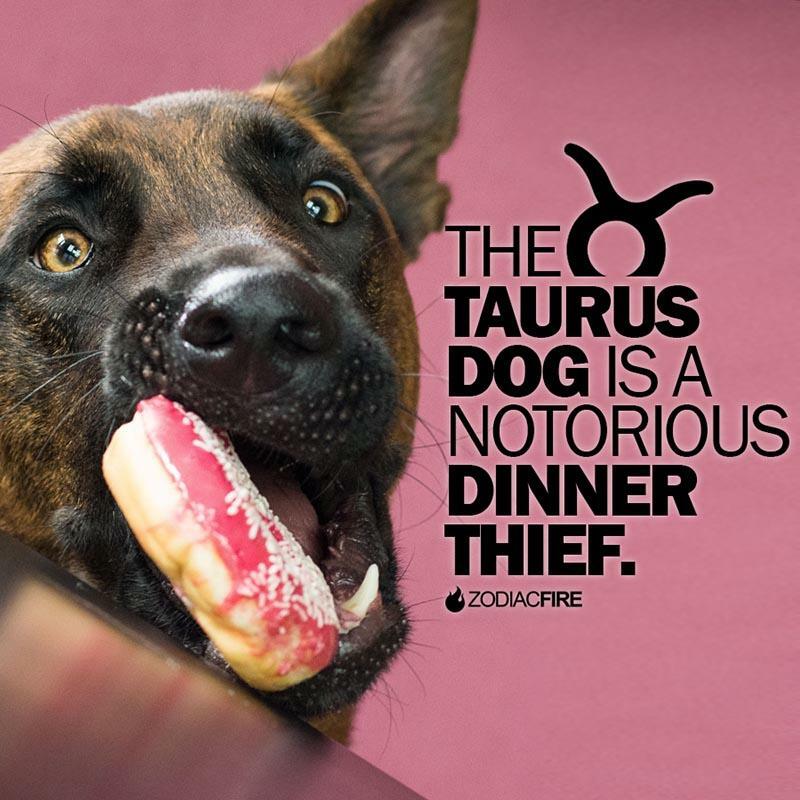 Taurus dogs: most likely to steal food off the dinner table. These dogs are notoriously naughty when it comes to stealing food off the dinner table and it sometimes it can seem like no amount of food is ever enough to satisfy them. They’re also rather stubborn creatures who can refuse to follow orders when they are in a sulky mood. 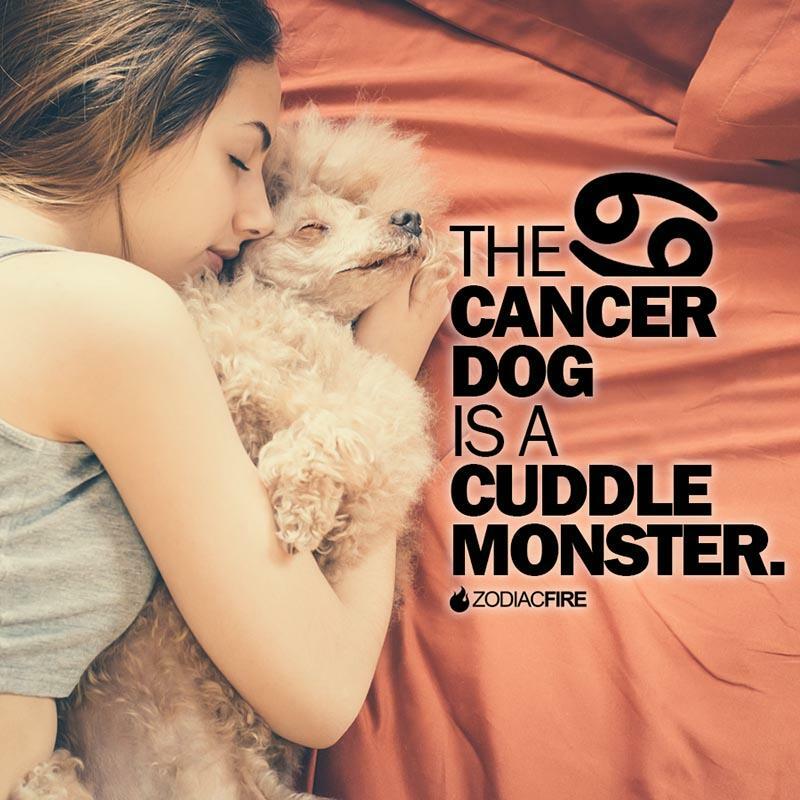 Cancer dogs: total cuddle monsters. If you find yourself with a Cancer dog then be prepared to give them a whole lot of love because they will pretty much demand it from you! These dogs tend to be sweet, caring and sensitive. There’s few things they love more than a good cuddle with their human. 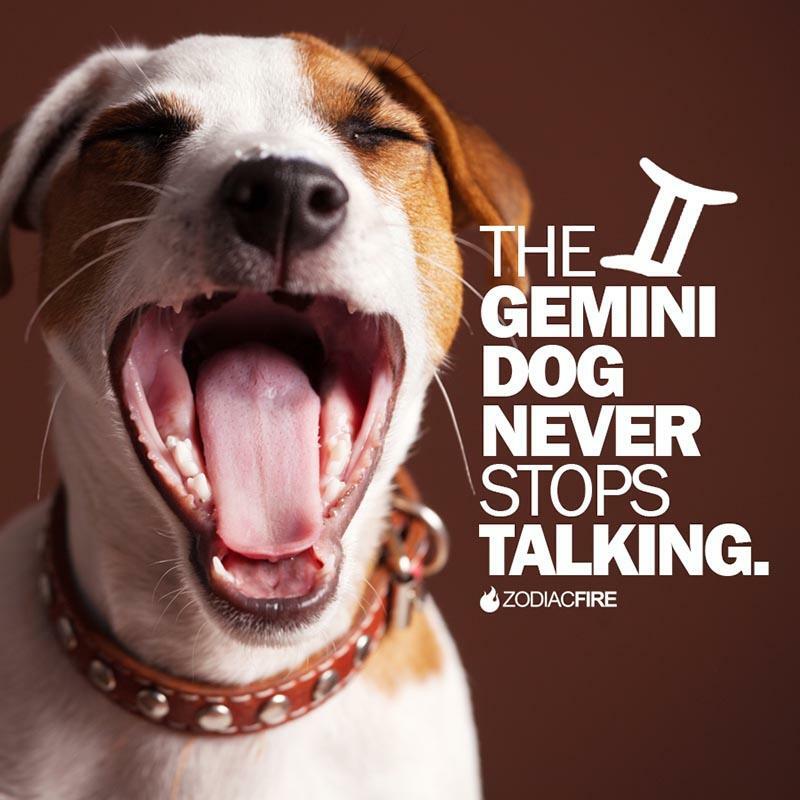 Gemini dogs: social animals who never stop talking. Gemini dogs are conversationalists so expect them to talk to you about anything and everything. Whether they’re happy, sad or just bored you best believe you are going to hear about it. These pups also love to socialize with other doggos at the park and around the neighborhood. Leo dogs: inquisitive extroverts who lap up attention. 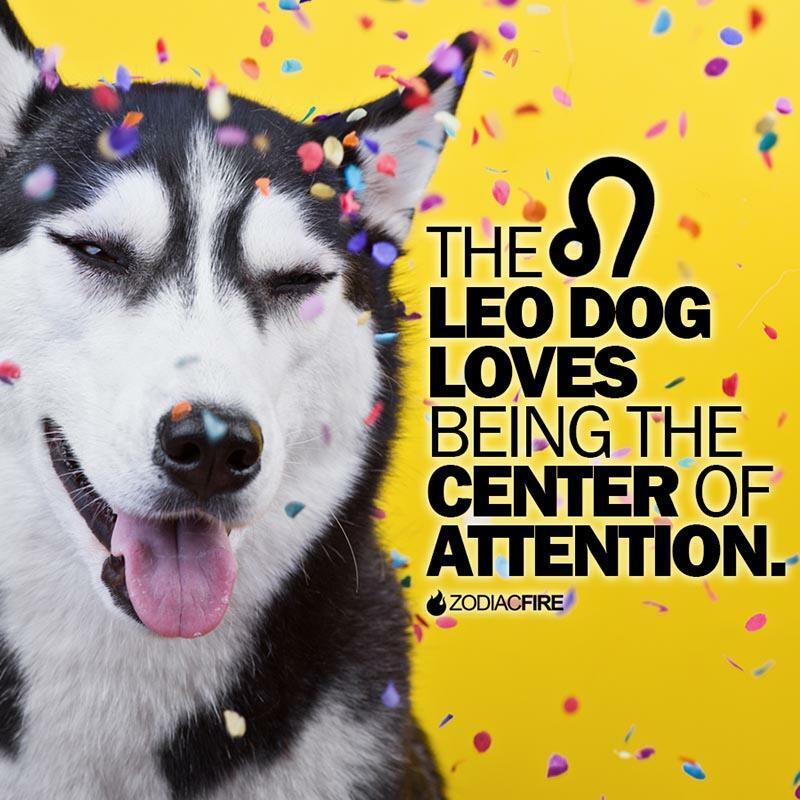 The Leo dog is inquisitive, extroverted and usually the center of attention. They love to be groomed and when there’s a new person around they’ll be the first to run up and introduce themselves. They have to investigate everything and anything and can be kinda hyperactive at times. 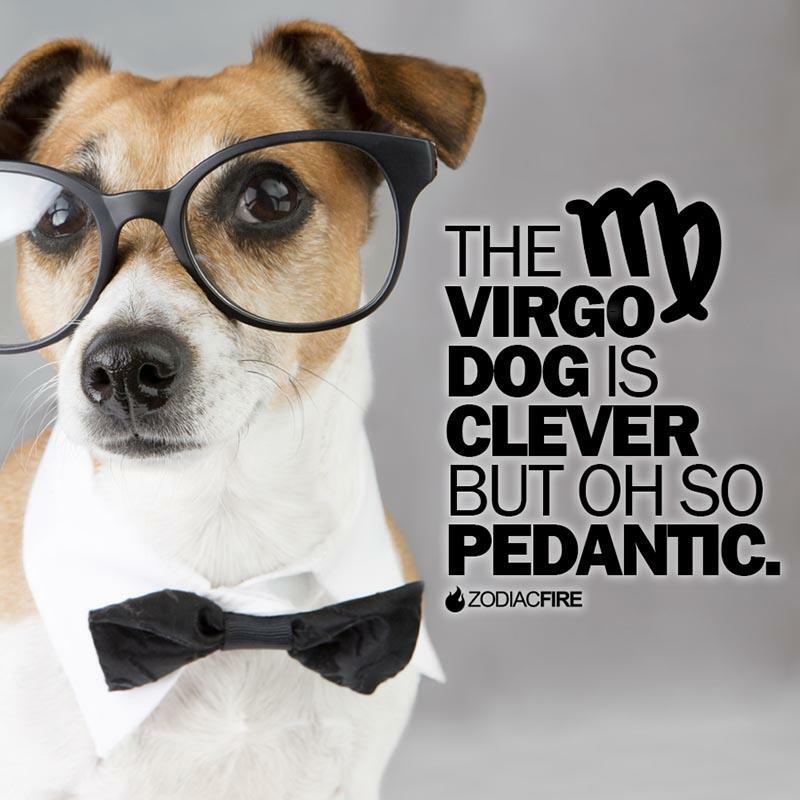 Virgo dogs: highly intelligent but prone to worrying. These pups are often on the quieter and more introverted side. They’re extremely clever and like to make their human happy but they can also suffer from bouts of worry and anxiety. 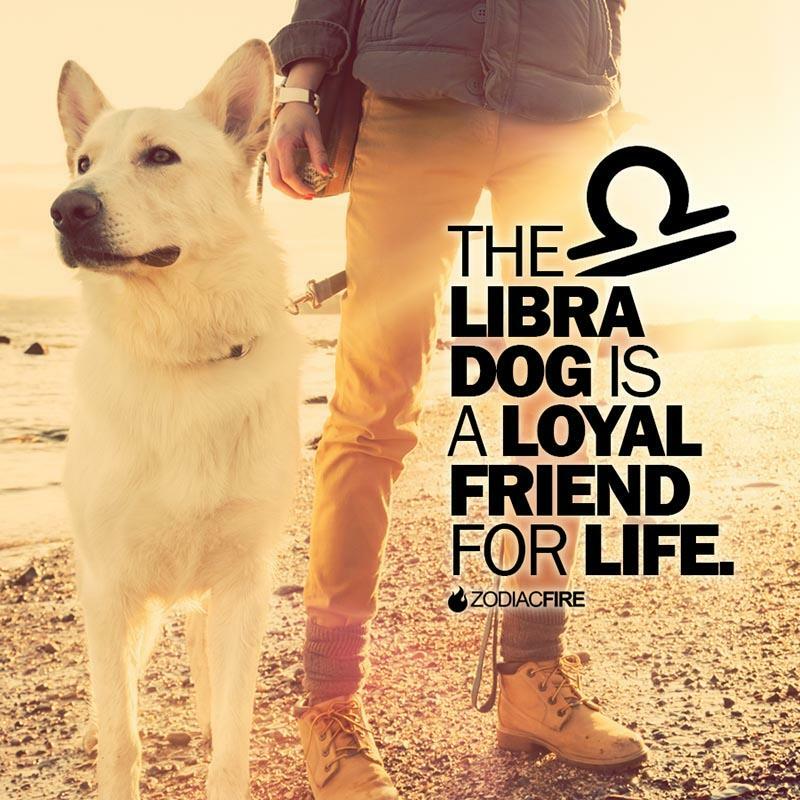 Sometimes they just need a bit of love and reassurance that everything’s going to be A-OK.
Libra dogs: a loyal and loving companion for life. These guys are extremely loving and affectionate to the point that they’ll want to be by your side day and night. They’ll wonder why you can’t take them into work and will try to snuggle in bed with you at night. Sometimes it’s a good idea to get a Libra dog a companion to keep them occupied and entertained. 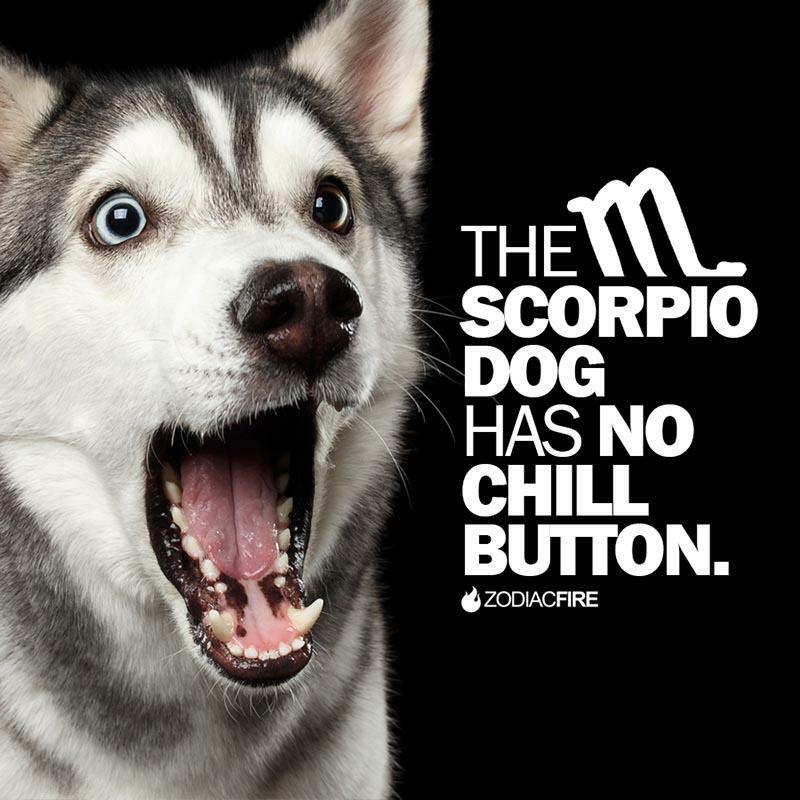 Scorpio dogs: moody as hell with zero chill. The Scorpio pup is fun and entertaining but when they’re unhappy about something they’ll probably try to chew up one of your most prized possessions to let you know about it. They can be rather secretive too and like to hide all of their toys and bones in places that only they know about. Sagittarius dogs: born explorers with a habit of sneaking into places they’re not supposed to be. 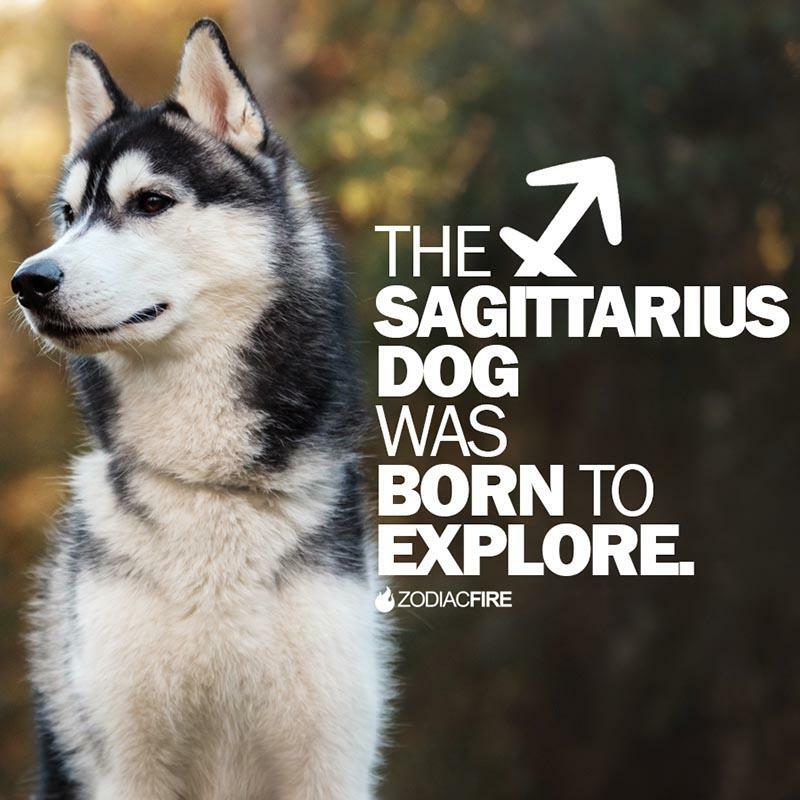 If you’re looking for a friend to explore the world with then look no further than the Sagittarius dog. They were put on this planet to roam the Earth and have boundless energy once they set out on a mission. They do however have a bit of a habit of sneaking into places that they’re not supposed to be – so keep an eye on them! 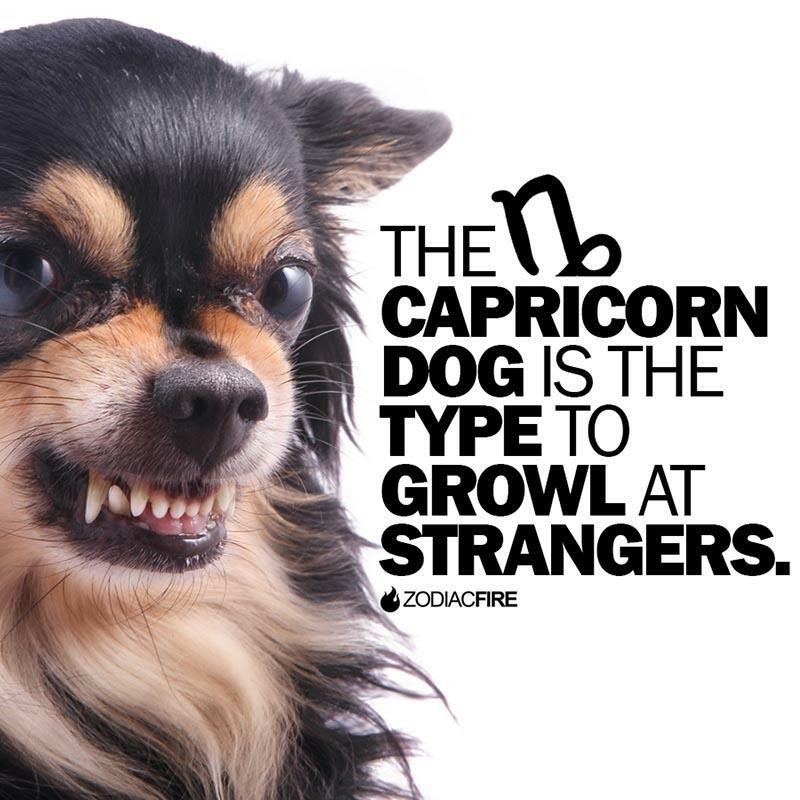 Capricorn dogs: most likely to growl at strangers. These dogs are fast learners who will always come back to you if they ever wander off. But they can be a bit hesitant when it comes to strangers and dogs that they aren’t familiar with. Don’t be surprised if they growl upon a first meeting until they feel a bit more comfortable. 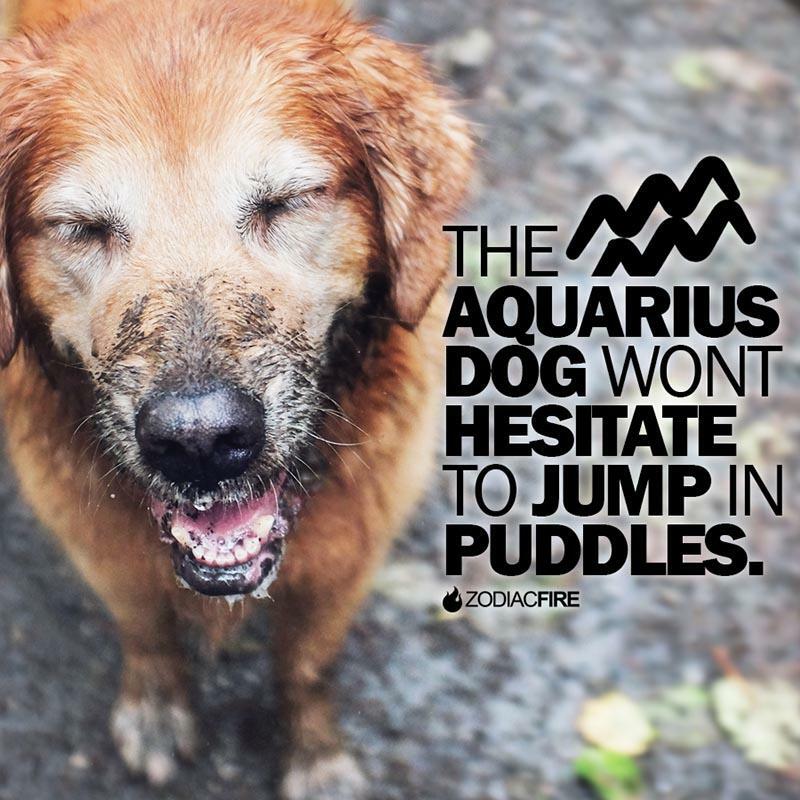 Aquarius dogs: wont hesitate to jump in a dirty puddle. These doggos are spontaneous and live for fun. When they’re going out for a walk they wont hesitate to jump in a puddle at a moments notice so be prepared to clean them up afterwards. They’re highly intelligent and constantly craving stimulation. Lots of walks and human interaction will be required! 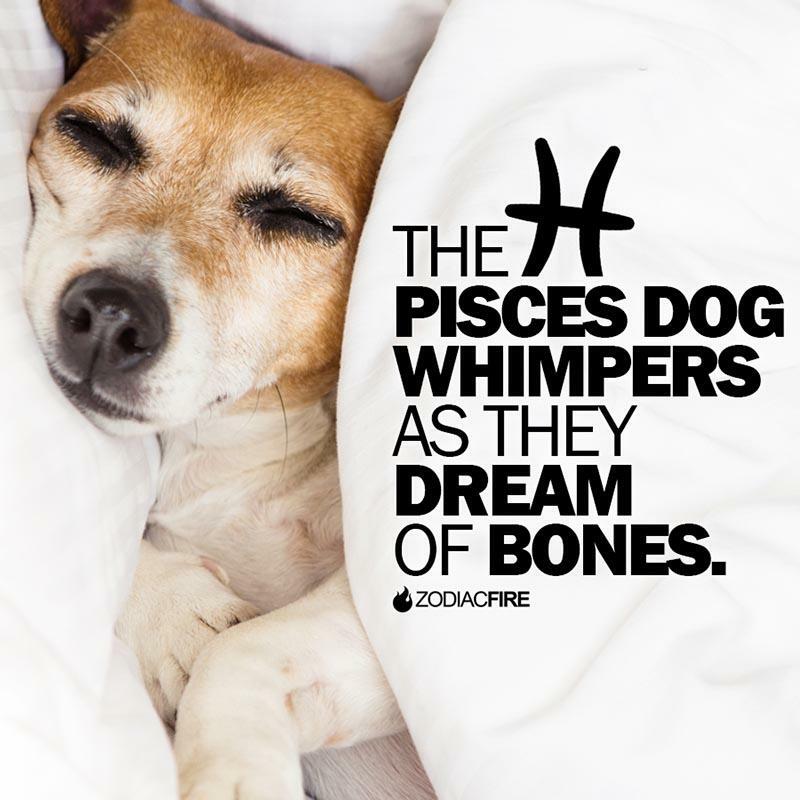 Pisces dogs: dreaming of bones as they twitch and make little whimpering sounds. These doggos are sensitive, intuitive and big-time dreamers. When they’re letting out whimpers as they sleep they’re dreaming of all of the parks and bones that they could ever want. They like to be around their humans at all times and they love to see their humans happy.